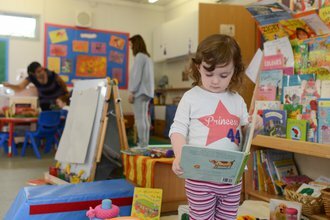 We train early years staff and volunteers to work with families, building parents’ confidence so that they can support their children’s communication, language and literacy skills at home. 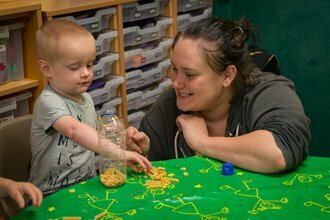 Early Words Together at Two is an adaptation of our Early Words Together programme, designed specifically for families of two-year-olds. 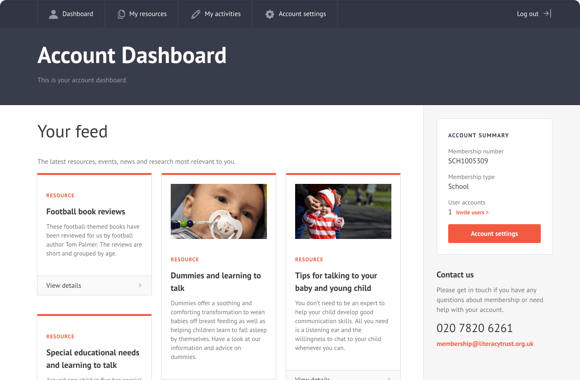 Our CPD offer develops practitioners’ skills and knowledge in the areas of communication, language and literacy (CLL) and social and emotional development. Technology, including tablets and smart phones, can play a role in supporting early communication, language and literacy. 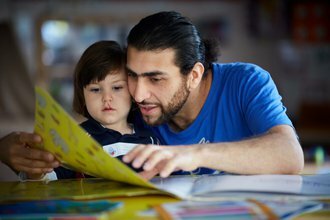 Our toolkit contains tips, research and best practice examples to help involve families with young children in reading. These cards have been designed to help practitioners support children’s day-to-day transition between home and setting. 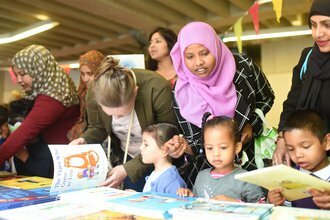 Our evaluation of Early Words Together at Two explores the outcomes of the programme on children, parents, and practitioners. An evidence review exploring the link between literacy and life expectancy in England through health and socioeconomic factors.